Jamie here and I have a cute project to share today! I found this cute lip gloss by the stocking stuffers at Walmart! I put it in a 3x4 bag and created a treat topper with the Fancy Topper Die! 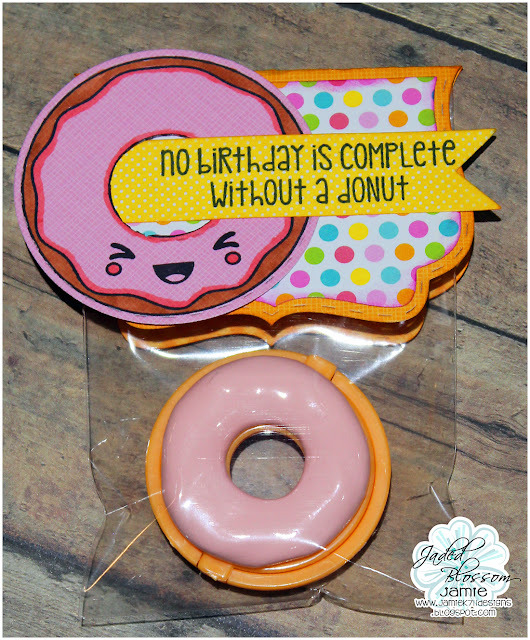 I stamped the donut onto a Stitched Circle Die and added a face. Then I stamped a sentiment from Love Donuts to a Flag Die 2 and added to the topper!